Microgaming has unleashed Greek myths and dares anyone to step up and take a spin. 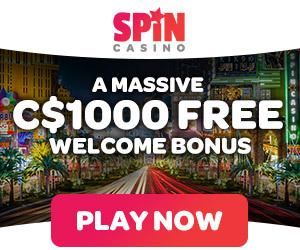 This is a video slot that has 20 paylines and is 5 reels where free spins happen frequently and the winnings are multiplied by 4x. Thank goodness this is a slot machine so looking at Medusa will not turn you to stone. Stash of the Titan’s is using Medusa for the scatter symbol. If she appears on the 3rd, 4th, and 5th reels you will get 15 spins for free that come with a multiplier of 4x, a 50x multiplier might make an appearance also. If you can make her appear five times at once there is a chance of hitting the maximum payout of $84,736 and 200,000 coins! Each bet can be a penny, two cents, nickel, dime, or even 20 cents maximum. Since there are 20 paylines you are only able to bet a total of 10 coins at once on every line. This gives way to a few varieties of amounts to bet. Bet a mere 20 cents total for all lines or go all the way to $40 total for all lines then pull the handle. Base jackpots will not have you acting a fool, but you can get 500 coins. Hercules will be riding in on his dear Pegasus. If there are a total of five then you will win 500 coins. When the treasure symbol pops up five times the reward is 400 coins. If you are looking to win BIG amounts then watch for the scatter and wild symbols. When the reels stop and you are looking at five wilds there is a possibility of walking away with 50,000 extra coins, a scatter multiplier can toss out 200,000 coins! Where do you find the slot machine? Going up against Medusa is easy. Just click this link http://www.jackpotcitycasino.com, make your account, and get ready to show Medusa who is boss! The game can be played on your mobile device so you do not miss out on any of the action.